Show off your membership in the AOH with a NJ AOH car magnet. 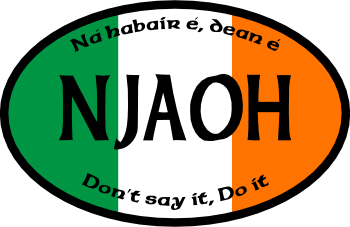 Magnets are oval shaped with the tri-color background and the NJAOH design. Unlike bumper stickers, magnets will stick to cars without damaging the paint. The state board is selling these magnets in packs of 10 for $60 including postage.